14 years ago, the was a need for Horticultural Judges﻿, I remember the dates because over the 2 years to train, I was both pregnant and a mother to my daughter. 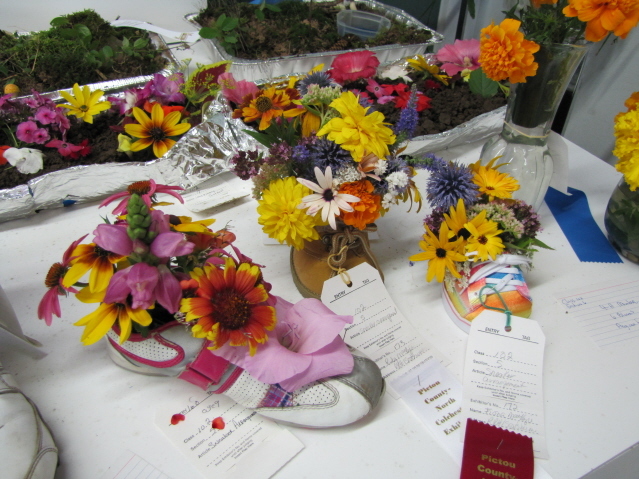 At that time a call went out to garden clubs over the province to find people interested in being judges. We learned everything from judging flowers (annuals, perennials, dahlias, gladiola) to various types of flower arrangements and vegetables. In detail. Over the years I have judged them all. But dahlias make me nervous. 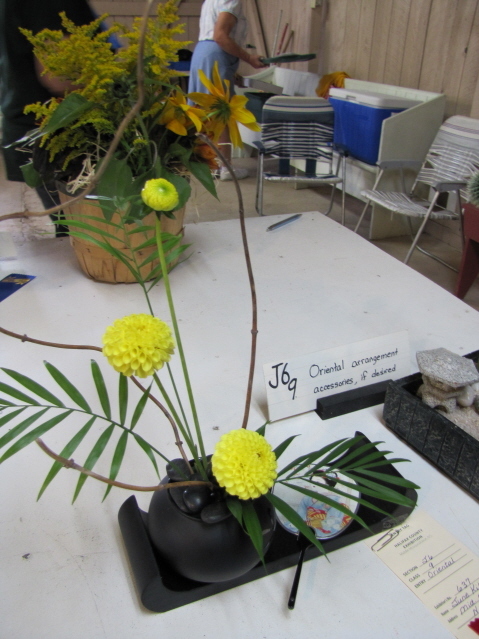 There are so many types and the exhibitors of dahlias are very competitive.﻿ Usually, in the major dahlia shows, they have their own trained judges. That suits me fine. Not saying I can't do them but in those type of competitions, we will leave it to the professionals. 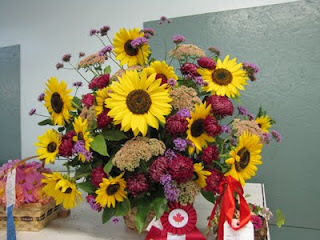 Flower arrangements can be very simple. This has been a hard year for flowers, all the rain we have had. Many of the annuals really took a beating. 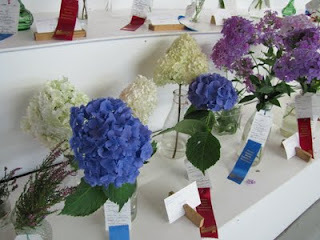 The exhibits have been down in all the shows I have judged at and exhibited in. A lot of it can depend on the year. This year I went over to my Uncles and found two beautiful Glads in his garden that I knew would place well. 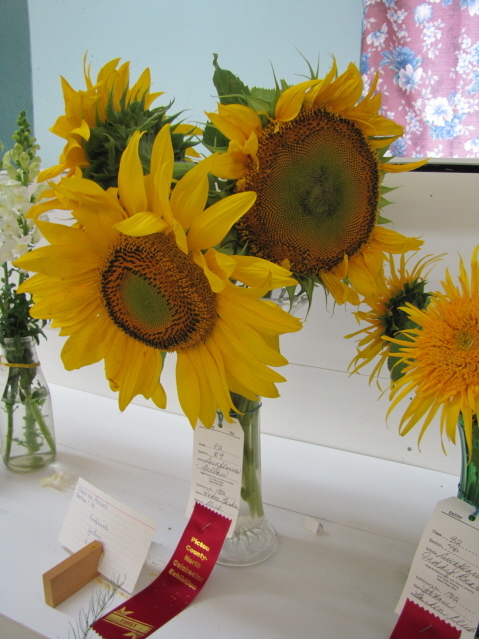 One received best in the show (for that category); he was quite happy. It takes a lot of volunteers to keep these shows going, as well as setting up, having people there when the exhibits are setting up to help people find the right categories, keeping everything fresh during the week and cleaning it up in the end. In many cases it is a labour of love. It brings great joy when they see the hall full of flowers. Pick a few flowers next year and try exhibiting. It really is a lot of fun.